This post originally went up before TBEX Toronto, and proved so useful to conference newcomers that we’ve updated it with some Dublin information and we’re republishing it. We hope it’s as handy for Dublin folks as it was for Toronto attendees! We give attendees and sponsors as many opportunities to network as possible, during both Speed Dating and the Open Marketplace as well as coffee breaks, lunches, and evening events. Our host destination works with their partners to create tours, activities, and press trips before and after the conference. That list of events changes with each conference. There’s all the learning and networking going on during the conference, the special events in the evenings, and tours in the days before and after the conference. In short, TBEX is both serious – and seriously fun. What is “Speed Dating” at TBEX? How does it work? Speed Dating is a structured networking activity that’s become fairly common in the travel industry. Bloggers and sponsors create a custom schedule of meetings in timed eight-minute segments, each of which provides a chance to meet, start a relationship, and consider future business opportunities. Speed Dating is open to all bloggers, but only industry attendees who are sponsors or who have purchased a Speed Dating table may participate. Here’s information about Speed Dating. Complete guides to the Speed Dating system in BloggerBridge – including setting up your profile, requesting appointments, and replying to appointment requests – can be found on this TBEX Speed Dating in Dublin page. Just be sure to click on the guide that goes with your registration – either the “Blogger Guide” box or the “Company Guide” box at the bottom of the page. And follow the instructions carefully so your profile is set up properly. 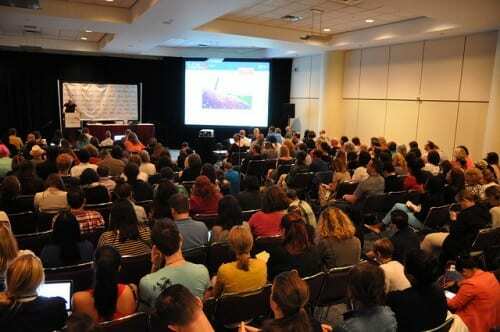 Note: We got lots of questions at TBEX Toronto from bloggers who thought that they could only participate in Speed Dating if they had purchased a table. This is not the case! All registered bloggers can participate in Speed Dating – that’s included in your registration. It’s only industry attendees who must purchase a table in order to participate in Speed Dating. Recognizing that the Speed Dating appointments won’t meet everyone’s needs, we’ve created the Open Marketplace as an unstructured session when bloggers and sponsors can network outside the pressure of timed meetings. We hope you’ll take advantage of the Open Marketplace time to meet with people with whom you were unable to schedule an appointment during Speed Dating. Complete your profile in the TBEX Dublin Blogger Bridge system (when it’s available) and browse the lists to see who you might want to connect with at Speed Dating. It’s entirely up to you where you stay when attending a TBEX conference (lodging is not included in the conference pass). Many people find it easier to stay relatively close to the conference venue itself, especially when coming in from out of town and not renting a car. Wherever you stay, be sure to take transit time into account so you don’t miss morning sessions. Note that we’ve got accommodation partners listed under “Attendees > Lodging” on the main page of the TBEX website, many of whom have special discounts for TBEXers. Nope! We encourage you to be comfortable (you’ll be sitting in sessions for two days) and weather-appropriate (Dublin in October probably won’t require the same attire as the Costa Brava in September, for instance), and if you’re signed up for extra activities you’ll need to dress appropriately for those (it’s probably not a good idea to wear high heels on a walking tour, after all). We also think it’s smart to dress in a way that tells potential industry representatives you’re professional. What that means, exactly, is up to you. Hey TBEX thanks for the skinny on prepping for the big event. Looking forward to all that is in store for us bloggers in Dublin. Very useful, thanks. But what is a media kit? A media kit is a short presentation of your blog to advertisers, sponsors etc. Should contain number of visits, followers a etc. Thanks. I’ll get on to it! Thanks for the tips! Really handy. Need to get sorted out with a media kit myself, and excellent point about recharging tech at the event! Thank you! I added this page to my Favorites so I can easily pull it up to make sure I don’t forget anything as I continue to prepare.